UPDATE: See MY version of the video with MY dog Juno! (Familysecuritymatters.org) Media ignore the disasters, praying they will go away, but two effects of White House foreign policy are already on display this week. Traffic jams caused by Washington’s ballyhooed “Nuclear Summit” are missing two motorcades. It seems that Britain’s Prime Minister Gordon Brown and Israeli Prime Minister Benjamin Netanyahu have something better to do than meet with the Obama administration. Oh dear. This is what Wiki Leaks is calling the “full video” of the incident that they describe as the “murder” of “civilians killed in Baghdad”. Video that is causing outrage in Europe, Islamic countries, and among the American Left. The “full video” is nearly 40 minutes long. Besides being dishonest about this being footage of mass “murder” and of those killed being “civilians”, Wiki Leak is also being dishonest about this being the “full video”. It’s not. The so-called “full video” is missing 20 minutes of footage. Sadly, the organization’s leaders only use workers to further strengthen their political foothold. Handing power to the corrupt is like handing a toddler a blowtorch-maybe things will go well. 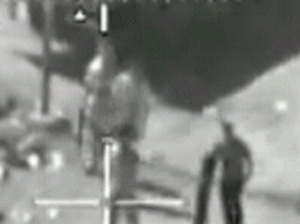 Remember the old VIDEO in which SEIU workers attacked an African American man? Supposedly, Bart Stupak is a rare pro-life Democrat-or is he? Last year Stupak addressed a frustrated crowd in Cheboygan, MI. Much to the chagrin of those in attendance, Supak explains he will still vote in favor of the health care bill even if it includes federal funding for abortions. Boy, this guy sure is a man of conviction eh? Are you kidding me??!! We, as Americans need to be more diligent and thorough in researching our elected officials. This video from Zonation quite succinctly explains EXACTLY why we see backlash like “Black Barbie is less than White Barbie” in today’s PC society. I found this article on ABC news last week, and just had to shake my head. 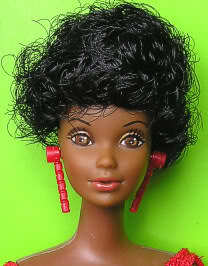 Black Barbie selling for less than White Barbie. It’s a polarizing subject that I am sure the likes of Reverend Jackson could pontificate about for hours. In kind, most American’s could easily step in with valid opinions for varying reasons. In the article, the experts consulted all suggested that smart retail business was tantamount to the devaluation of black girls. I think it’s a stretch personally, but I believe the opinions contained within the article outline the core of the real problem – that our aim is off. Blaming WalMart, or the dolls features for social “injustice” is just a reopening of old wounds – outlining separation of black and whites – ad nauseum. Reproducing ugly inequalities indeed – that’s the core of it. That’s where our sites should be aimed – at stopping this “reproduction” at all costs. “The implication of the lowering of the price is that’s devaluing the black doll,” said Thelma Dye, the executive director of the Northside Center for Child Development. “Pricing like items differently is a part of inventory management in retailing,” WalMart spokesperson Melissa O’Brien said. Ok, maybe they all have a point, and maybe you agree or don’t. But the pink elephant in the room went without mention, once again. Residue. Reproduction of ugly inequalities. I don’t believe the actions of a retailer selling black dolls at “sale” prices is harming the socioeconomic fiber of black children in the US – I submit that it’s rather black leaders, schools, and government that do this. Black leaders spew diatribes at the black community, telling them how they have been and are being oppressed, and being treated unfairly in all social and economic situations. The black community are constantly reminded of their unfortunate history in the US, and not of any strides and outright changes made since the early 60’s. Why are black people always portrayed by their own leaders as an exclusionary group, and not what they are – American citizens – PART OF the whole, not just “apart” from the whole? Educators use black history month to drive this exclusionary mantra home. I am certainly not saying that history of the Civil Rights movement is not important – I am merely suggesting that we start calling it American History and to stop constantly pointing out the differences – constantly indoctrinating our youth that black people are different – so different that black history be separate from the rest of America’s history. Martin Luther King wanted black and whites sitting together – it wasn’t Mr. King’s idea to constantly have a separateness – his was a message of unification. Indeed our US Government, as a never-ending apologetic reparations program has instituted programs further carving out a separateness of race, and not a kinship of mankind, such as Affirmative Action. Now before you go crazy – I understand why and how programs such as these, began– but what are they telling us now? It is like we as a nation are saying to the black youths of America that they aren’t able to qualify among the regular workforce, so we’ll give you a leg up. What’s the message here? Blacks aren’t as smart as other races? That blacks can’t compete unless the bets are hedged, that they can’t compete unless the deck’s been stacked in their favor? That giving black people a head start is the only way they can be equal with other nationalities? Even the PC term African-American is once again carving out a separateness of station. As if they must be hyphenated, or qualified in some way – just to make especially careful we redefine the differences over and over. Why not just be American? If there is any message in the “Baribies” – it’s that it’s time to “sight in” our focus so that we’re aiming at the real problem here, and not continuing on the blame of our misguided past. We don’t need Black History month – we need a refocus on how black people are part of America’s history. Togetherness not separatist. We don’t need a separate section in the bookstore for black writers, or black literature – isn’t this exactly the OPPOSITE of what Dr. King wanted? Isn’t that just more segregation? Why not count the black authors among the white – standing side by side, and shoulder to shoulder – and not given preferential treatment, or segregated treatment, but a togetherness. A kinship. A sense of oneness. We need to stop outlining our differences and concentrate on what makes us the same – let’s let Barbie be Barbie, and retailers make sense of business – and leave the residue out of it.